“My LASIK procedure took place in 2012. I might have done it earlier, but it wasn’t until my late twenties that my eyesight finally stabilized enough to consider the procedure. 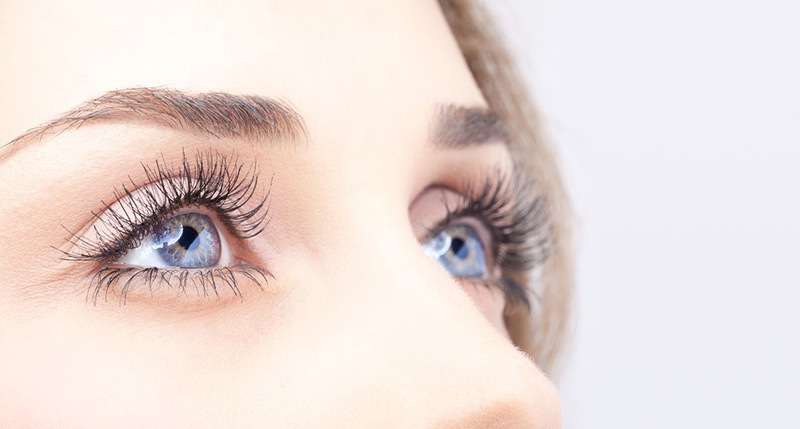 “More specifically, when I went in for the procedure, I learned that I’d be given numbing eye drops to desensitize my eye, then a tool called a speculum would hold my eye open while the laser did its work. With the doctor’s supervision, the laser would cut a flap in the cornea, then reshape its surface based on my specific prescription before replacing the flap to heal naturally. “The day of my LASIK procedure, my husband drove me to have it done. I was excited and nervous, but mostly I couldn’t wait to be able to see. After checking in at the front desk, I relaxed in a darkened exam room and was offered a mild sedative to calm my nerves, which I gladly accepted. Twenty minutes later, a nurse led me to the procedure room. The sedative had calmed me, and I happily allowed the doctor and nurses to help me get situated on the table. They reminded me that it would take about five minutes per eye, and they’d be done in about 15 minutes, including the time it took to reposition the equipment between rounds one and two. They handed me a small stuffed dog, encouraging me to hold it with both hands all the way through the procedure. Later, I realized this savvy diversionary tactic was designed to keep my hands away from my face. Using a special tool, the doctor propped open my eyelid to prevent blinking, then dried the surface of my eye with a small jet of air, explaining that the drier the surface, the more accurate the laser could be. Next, he lowered a suction ring onto my eye to prevent eye movement while the laser was at work. That was a relief because I’d feared I might involuntarily move my eye at the worst possible moment! “I wish I could report that when my second eye was finished, I sat up and immediately had perfect 20/20 vision. However, that was not my experience. While I could see slightly better immediately post-surgery than before, it took three or four days before my vision totally cleared and I could confidently say I was glad to have had the procedure. I followed the post-op instructions carefully: Lubricating eye drops several times a day, no makeup for another week, and no rubbing the eyes ― even when they itched, which they did because they were healing. Like many people who undergo LASIK, I experienced dry, itchy eyes for a number of weeks after the procedure. Also, my night vision was challenging for about six months or so. However, once my eyes healed, and I was able to wake up each morning and see the clock without squinting or reaching for glasses, I was elated. And, given that I continue to enjoy 20/20 vision seven years later, I still am. This location is only for Vision Therapy services.